After getting marvelled with The Darcy Monologues last year I was thrilled to know that Christina Boyd had gathered another group of incredible authors who would work with her to create an appealing anthology dedicated to Austen’s rakes and rogues, so it was with great expectations that I started reading Dangerous to Know: Jane Austen’s Rakes & Gentlemen Rogues, and I must say I did not get disappointed. I don’t really like the box of chocolates analogy but I can’t think of a better way to describe this anthology. In Dangerous to Know we will find 11 stories which will focus on Austen’s rakes, rogues and I dare say gentleman, because let’s face it, who can ever consider Colonel Fitzwilliam a rogue? With such a group of authors and an experienced editor, I was bound to love this book and what I loved the most about it was the fact that we never knew what we would find, hence the box of chocolates. As we finish one story and move along to the next one, we do not know which is the character we will find, if it will be a prequel, different POV, sequel or the sum of the several sub genres. Better yet, we never know if the author decided to redeem the character or not! When I first heard about this anthology I thought that it would give us the point of view of these characters and maybe for that reason we would come to understand their reasoning, but that is not what I found in this book. Some of the characters remain the rogues we know them to be, and that is just perfect because it makes us wonder at every story. The creativity of these authors were also part of why I liked this book so much. There were many original characters that I learned to love or hate, which is always a desirable effect in a book, and I saw sides of some characters I never expected to see. They have also made me love stories about characters I really despise such as Sir Walter Elliot. I didn’t come to like him, by the contrary, I think I ended up despising him even more than I did before, but I did love the story, and that is the beauty of this anthology. Even if we hate the characters about whom we are reading, we are still captivated by their story and have a true pleasure reading it. That is why I think everybody will like this book, because it is not so much about the characters, but about their stories and Austen’s world. The stories explore areas unexplored by Austen but that sound familiar to the reader nonetheless and that could only be accomplished by talented authors who know quite well the attributes of her work. This book is perfect to be savoured through time, I think it will enhance the reading experience to read one story per day as it will allow the reader to focus on each character and consider all the possibilities associated to them. 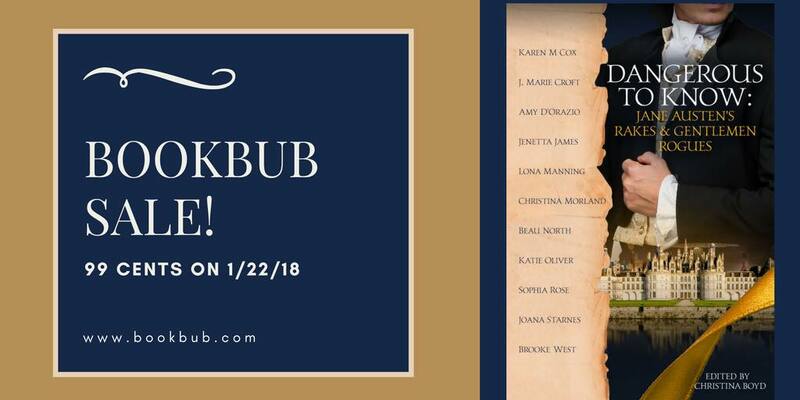 I am so glad that you enjoyed this anthology too and that you also appreciated that not all of the rakes and rogues could be redeemed if we were to stay true or even “close” to Austen’s characterization. Appreciate you taking the time to review this and I have thoroughly enjoyed your #RakesAndGentlemenRoguesSightings. Can’t wait to see where they end up next! My thoughts exactly Rita. When I first heard of this book I wasn’t sure because, hey, no Darcy (well not very much!!!) But the group of authors Christina assembled was amazing so I had to give it a go. I too was surprised that I actually ended up liking or at least sympathising with some of the characters. Of course I loved Colonel Fitzwilliam and his story. You totally nailed exactly what I think we were trying to do with this one, Rita. Appreciate your thoughtful review! Loved this anthology and the fact that some could be redeemed and others could not. Yes, the Colonel was favourite as was Captain Tilney. Loved your review! Great review, Rita as always. I had great fun with this book as, at the beginning of each story, I tried to guess whether the particular (anti) hero would be redeemed by the end of it. Got some right, some wrong, but was never disappointed by the outcome. I’m really hoping that Christina will be able to get Harry Frost to narrate an audiobook of this eventually. I loved this book and of course our dear Colonel was my favorite. Great review Rita. So glad you liked ‘Dangerous to Know’, Rita! It was such great fun to contribute to this anthology. Christina’s idea of presenting a Gallery of Rakes and Gentlemen Rogues was fabulous, and what a great group of authors! It was an honour to be part of the team, and loved the stories. Some well and truly pulled the rug from under me, and I love it when that happens. Thanks for the shoutout, and I agree with Anji, it would be great to hear the stories narrated by Harry Frost! Loved this anthology. It is one I will reread in the future. Some amusing and some just outrageous men but so is life.